Citizens' Dialogue with Commissioner Phil Hogan, Minister of Agriculture Tomislav Tolušić and the Member of the European Parliament Marijana Petir. On 23 March 2017 Zagreb hosted a Citizens' Dialogue with Commissioner Phil Hogan. He was joined by Minister Tomislav Tolušić and Member of the European Parliament Marijana Petir. The Dialogue took place right after the award ceremony for the best young farmer prize and offered a good opportunity for the Commissioner and his stage partners to discuss the future of the European Agricultural Policy, as well as the future of the EU in general. The results of a snap vote revealed that only about half of the audience felt that their voices were being heard in the EU. In response, Commissioner Hogan explained that that he was well aware of the challenges. People should feel better than the previous generation, and currently this is not the case. But this Commission is introducing several measures and promoting investments to have better cohesion. People should feel the difference in their own lives, but it takes time to see the results, he said. Minister Tolušić added that Croatia joined the EU only a short time ago, and not all the benefits of the EU can be felt yet. At the same time, the EU is a well-functioning system and Croatia needs the EU and belongs to it. MEP Marijana Petir stressed that the institutions need to do more to communicate what the EU is offering to its citizens, and at the same time listen to people more to hear what they need. Several participants raised the issues of equal treatment and a level playing field in agriculture. Many young people and families are leaving rural areas and are moving to the cities, or even worse, they are moving abroad in search of a better life. In this context, participants also raised the financial difficulties older farmers face when they want to retire. Commissioner Hogan underlined that it is equally important to support young farmers as it is to take care of the older generation. In order to achieve a level playing field for all farmers he is making a proposal about the Common Agricultural Policy for all 27 EU Member States and not just for the old ones or the new ones. He emphasised the importance of solidarity between all Member States. Talking about the environment, participants also asked about the policy regarding forests and whether the potential in biomass will be exploited. Commissioner Hogan explained that thanks to the forest strategy, for the first time we are seeing new recreational protection. In fact, forest management is important not only for growth and jobs, but forests are also a carbon sink that contributes to climate change mitigation. The Commissioner confirmed that he was also ready to explore the possibilities offered by bio-economy. 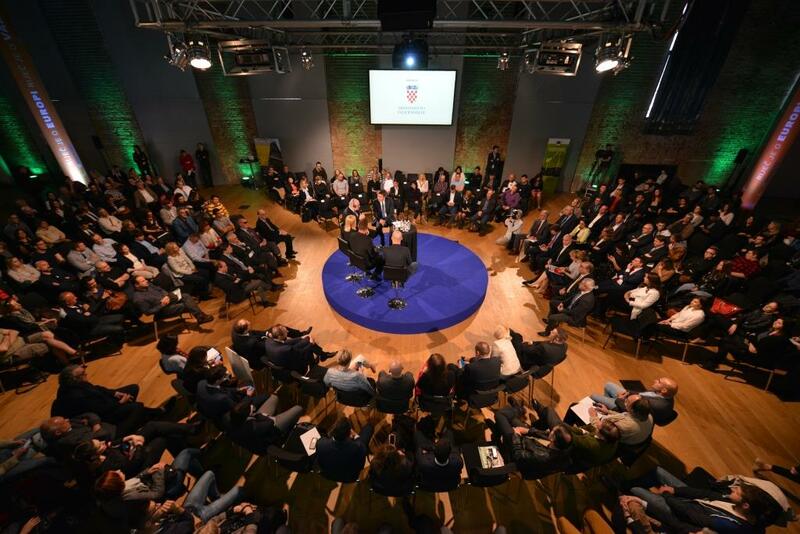 Before the discussion moved over to the future of Europe, several other issues were raised in the dynamic debate, such as the subsidies for crops to produce biomass; the challenges of the milk sector, looking after rural areas, and how small countries like Croatia and Ireland can learn from each other. When it came to the future of Europe, participants expressed their concerns regarding what would happen after Brexit. Commissioner Hogan then explained about the possible scenarios the Commission set out in, ranging from no Europe to more Europe. Responding to a question on what his views were on two speed Europe, the Commissioner said" I do not agree with the concept of "two speed Europe", personally I am against it. We need to have solidarity between 27 Member States." 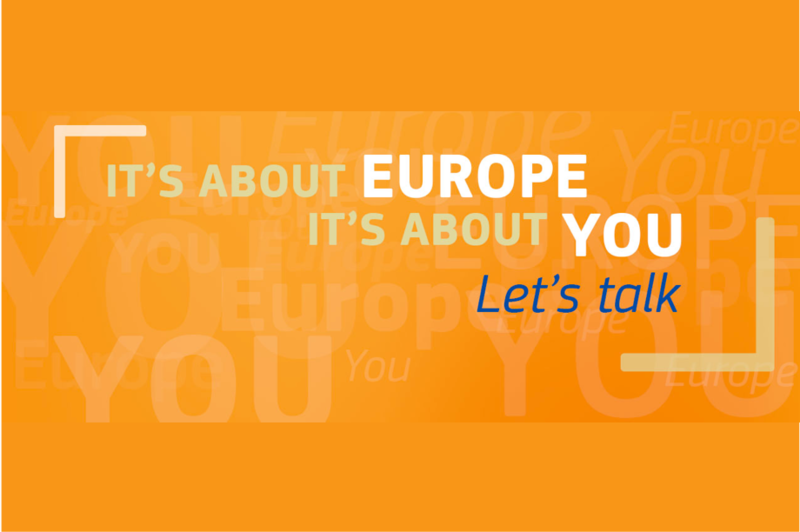 The event in Zagreb was part of a series of Citizens' Dialogues that involve the whole European Commission and take place in all EU Member States. "In Slavonia life is very difficult for farmers. We have to work 20 hours a day and loans are very difficult to get. Many families are moving abroad. We are placing our confidence in the hands of our Minister and in the EU for help." "We fully support the EU and we try and make sure that people have healthy food to eat, but we need equality with the farmers in other Member States." "Young people need to be supported to start their lives, but we should not forget about the older generation that needs to retire and lead a dignified life after retirement." "Can the EU introduce an eco-tax?" "What is your opinion of two speed Europe?"